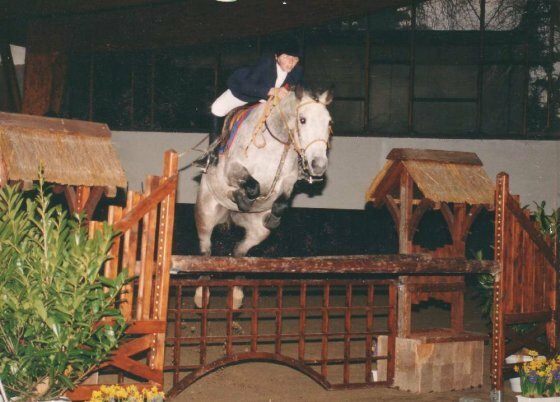 My interest for Welsh Ponies (section B’s) started when I was a child, I used to compete in showjumping with Welsh ponies and they were the best ponies ever. I was at this time very interested by the bloodlines of my ponies and my parents started a small stud of Welsh B’s and Sport Ponies in the mid-90’s. 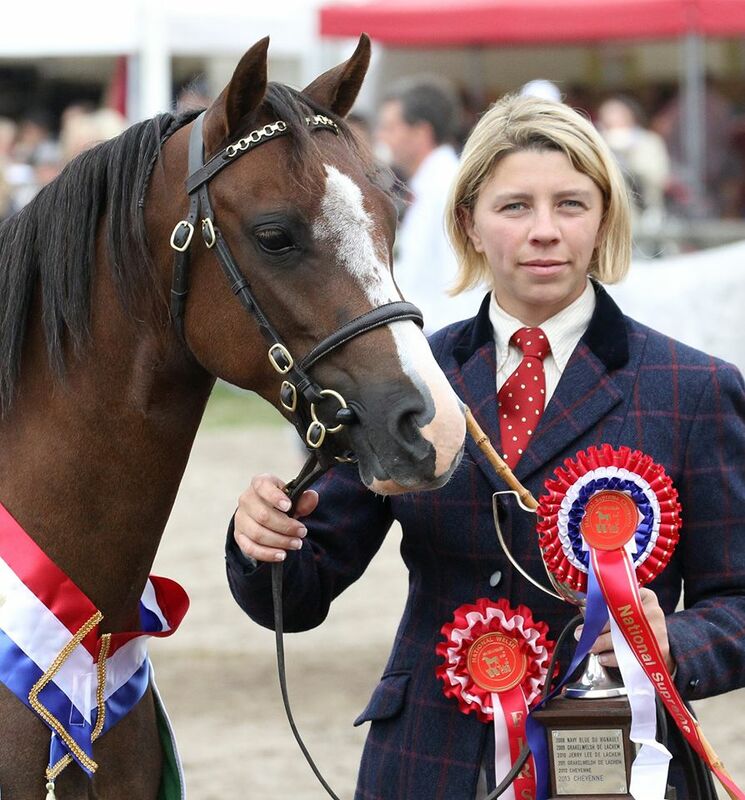 After my first visit to the Royal Welsh show in 2000 aged 17 I decided that I would be there one day and since I’ve been more and more involved breeding and showing my “De l’Aurore ponies” and travelling to improve my knowledge of the breed. The stud has moved to Normandy in 2003, and the arrival in 2007 of our foundation mare Etincelle Ravignan (by Kirby Cane Statecraft out of Chirk Samantha by Chirk Caradoc), bred by Marjorie de Ravignan in South of France was a milestone for our stud, Etincelle being the dam of our stallion Adagio de l’Aurore. We now have a maximum of 5 broodmares at the stud, with a major influence in our stock of the young Royal Welsh Champion stallion Heniarth Wood-Wind as well as the Cwrtycadno and Weston bloodlines that we like a lot. 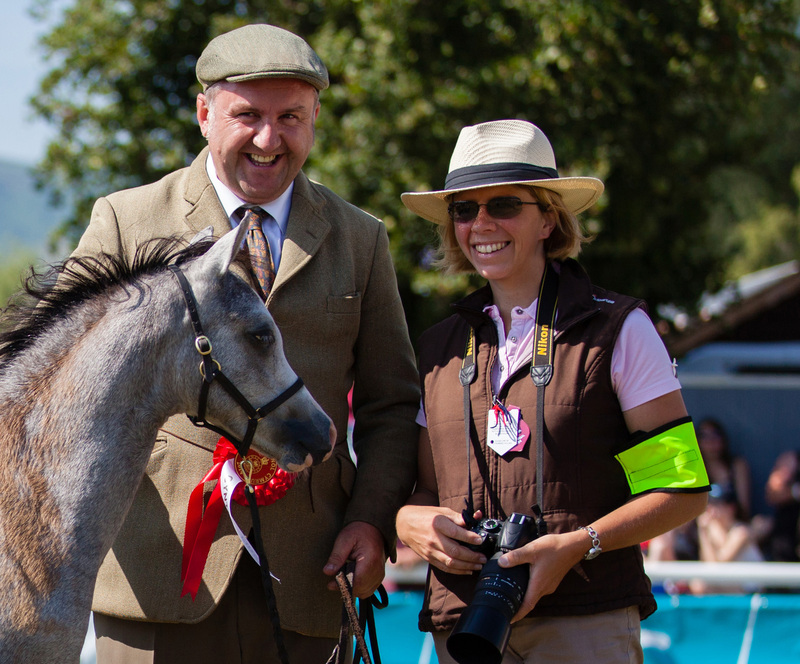 Ingrid Delaitre, official photographer at the Royal Welsh 2014 with Meirion Davies (Heniarth) winning the foal class with Heniarth Touchstone by Adagio ! Ingrid Delaitre is French WPCS Council member and Panel judge of the Welsh Pony and Cob Society as well as French WPCS.